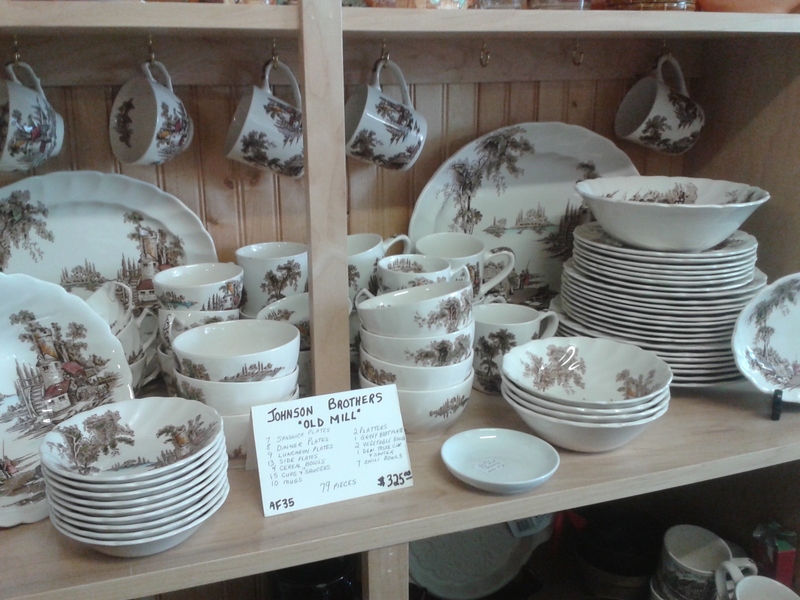 There are 79+ pieces of Johnson Bros. Old Mill patterned dishes for sale. They were manufactured between 1952 and 1977. These are the brown transferware ones with some dashes of colour. There are enough to make at least 8 complete place settings of dinner plates, luncheon plates, side plates, dessert bowls, cups and saucers and mugs with some extras. 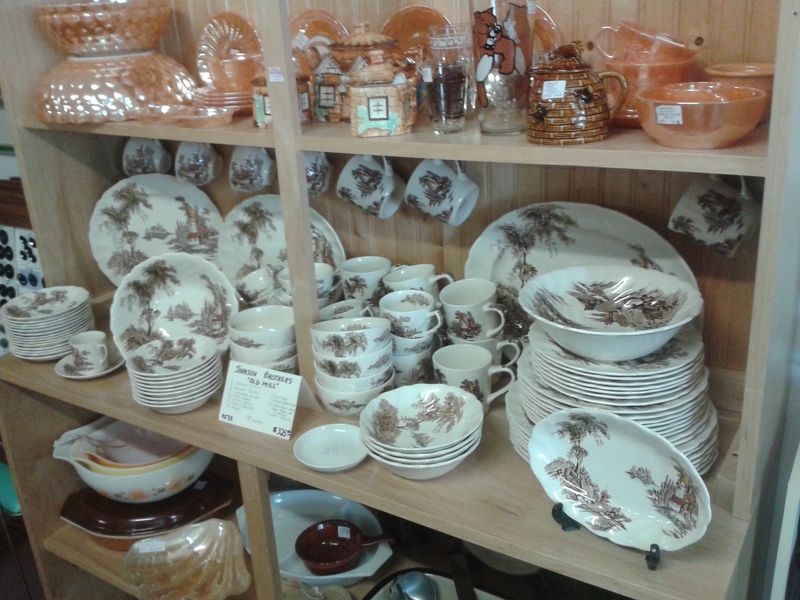 There are five serving pieces including vegetables bowls, gravy boat, and platters. There are also 7 chili bowls which I have never even seen before these. I am selling the whole lot for $ 325.00. This is a great deal as they would cost far more if sold individually. Replacements.com sells one dinner plate for $20 and one luncheon plate for $25.00. They are currently for sale in my booth at the Almonte Antique Market, 26 Mill Street, Almonte ON. Ploease note: ALL DINNER PLATES, LUNCHEON PLATES, CEREAL AND CHILI BOWLS, DESSERT BOWLS, LARGE VEGETABLE BOWLS ARE SOLD!! !